We are a boutique website dedicated to incense and high quality elements of aromatherapy. We are constantly scouring the world as we seek to build out our artisanal incense offering and bring unique experiences to our customers. Our current offering consists of exceptional quality incense sourced in India and used by the finest boutiques around the world. We have a very selective product selection process and only accept the highest quality incense. Click above to check out our selection of traditional indian and tibetan incense sticks and cones. Or go direct to some of our Highlighted fine quality Incense offerings by clicking below! Learn more about incense below! Incense is a slow burning combination of plant-based materials, including fragrant woods, plant sap and essential oils which emits fragrant smoke upon lighting. Incense is first lit by flame and quickly put out once the flame “catches”. In its wake, the flame leaves a smoldering ember which catalyzes a slow burn of the incense, allowing it to release a fragrant smoke whose scent is created by the combination of its burning components. In this way, incense’s fragrant aroma can be expertly manipulated and strengthened by varying the amount and intensity of its underlying materials. The subtle combination of biotic materials can unlock scents and aromas which serve numerous purposes. The word “incense” itself is derived from the Latin word “incendere” which means “to burn”. The word “incense” is also closely tied to the Latin word “incensus” which means “to cause a passion or emotion to become aroused”. As such, incense often evokes sentiment and states of mind which go far beyond the physical manifestation of its scent. Incense is frequently used in meditation as an agent to bring alertness to the mind and help cleanse distracting thoughts. Incense is a staple in religious and spiritual practices in the East and West as both a means to cleanse and sanctify physical spaces and also express reverence and connect with the divine. 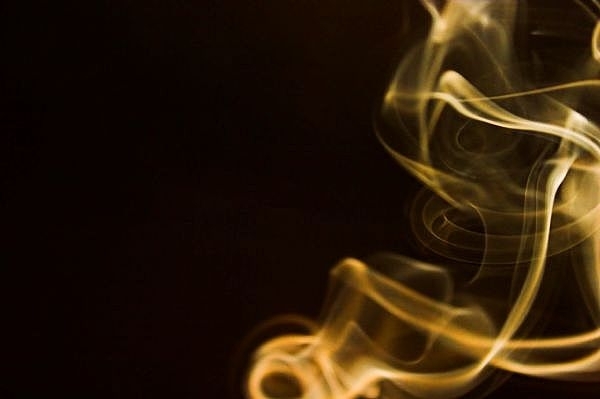 The fragrant smoke from incense can have the remarkable property of creating a spiritual atmosphere which can have diverse uses from priming a space or practitioner for prayer or simply imbuing the everyday household with a sense of calm and transcendence. Incense is popularly found in two forms: incense sticks and incense cones. Sticks have a supporting core usually of bamboo or sandalwood which burns along with the incense itself. Incense cones burn much faster than incense sticks and release more smoke as the burning embers makes its way down the cone to cover more surface area. Incense sticks generally have holders which allow the sticks to be held in a hole in a supporting foundation with room for ash to fall safely. Incense cones are generally burned on holders of stone or metal and reduced to pure ash after burning. Many years ago, an unnamed Japanese monk explained the ten virtues of incense as he saw them. In both modern and olden times, incense has been extolled for its aromatic properties. The burning of incense releases the latent aroma in its components which quickly pervades the air in smoke form. Incense has a deep history for use in prayer and cultural rituals. Having roots in China, India and Japan, incense is frequently used in the religions and practices associated with those areas. In India, incense is frequently burned prior to prayer as a means to purify the air and create the right conditions and intentions to begin the venerable practice. Moreover, incense is frequently burned throughout the prayer or ceremony as it serves as an olfactory reminder and connection to the auspicious. Incense and aromatic burnings also has strong roots in Native American practices. Incense is frequently used as an agent to enhance meditation practice. Priming a physical area by lighting incense can have a soothing effect on the mind, enhanced by the smoky nature of the burning process. Using incense to perfume a meditation area with a uniform, soothing fragrance can cause the mind to focus on the novelty of the smell and let go of other thoughts. This is an automatic reaction of the mind as it hones in on the new sensory perception provided through the olfactory system. It is an excellent technique for either preparing or priming for meditation or even during meditation depending on the practice and from individual to individual. If the meditation practitioner makes it a habit to burn incense before or during his or her meditation practice, it also has the added effect of conditioning the individual to associate the smell with it being time to meditate. This provides a very important benefit to meditation and should not be trivialized. Creating the internal intention and understanding that “it is time to meditate” can have a profound ability on the ability to focus and deepen one’s practice. A practitioner’s internal intention to focus on meditation reinforced by conditioning from the smell of incense is an extremely powerful way to approach and deepen one’s practice. At times, the very nature of the smell from incense can inspire a spiritual and transcendental mindset. The complex, pleasant smell of its base aroma mixed with the smoky but mild burning often has an otherworldly quality to it. By releasing to this transcendental quality and mindset, the meditation practitioner is positioned to deepen his or her practice and facilitate the letting go of other thoughts. Priming one’s mindset is an extraordinarily important to developing a robust meditation practice. Just as children are able to elevate athletic performance by pretending to be famous athletes, meditation practitioners can elevate performance by cultivating certain mindsets which suggest at the possibility of elevated performance. Meditation is an exercise of mental control and self-reflection into the reality of how we experience things. Thought, mental focus and open-mindedness are at the core of the meditation process an can be enhanced through incense. If you are interested in learning more about meditation visit MeditationArea. Incense is a combination of fragrant wood, resins, gums, essential oils, herbs and a slow burning material like saltpeter or potassium nitrate. Incense likely evolved from the plain burning of wood so it is logical that fragrant woods make up an important part of incense’s structure. The many varieties of wood emit strong and distinct aromas associated with everything from the great outdoors to holidays and even fruits. When combined in incense with other herbs, resins and oils, the wood helps bring balance and structure to nuanced fragrances which can complement searches for peace, tranquility and many other purposes. Fragrant woods come from geographically diverse areas and not only influence the ultimate aroma of incense but also serve to regulate the rate of burn. Incense requires the wood be ground into a powdered or sawdust form for inclusion in the mixture. When bound together in incense through an adhesive, the wood and an oxidizer serve as the basis for combustion and contribute to the relative “smokiness” of the burn. Fragrant wood is commonly found in the incense from many regions with local plant species dominating in particular areas. Incense in many Eastern rituals tend to be dominated more by fragrant wood and less by other contributory agents like resin or essential oils. Beautiful garden at the Hart Senate Building in Washington D.C.
Cinnamon is a small evergreen tree native to Sri Lanka. The bark is broken down to create cinnamon which can be infused into incense. Very similar to Cinnamon is Cassia, a native bark of China yet sold under the American name of Cinnamon, which is used in medicinal rituals in China. Cinnamon can add a sharp yet relaxing scent to incense which can serve to bring both alertness and calm. It can also have the effect of bringing nostalgic remembrances of the holiday season. Bamboo is found in east and southern Asia and burns in incense as a subtle scent to evoke tranquility based moods. Bamboo cored incense is commonly used in India and China. A bamboo stick is used as the core to the incense and creates an incense stick which does not require as much binding agent. Hinoki Cypress originates in Japan and comes from the Hinok tree. It is frequently cultivated as a Bonsai tree and used as ornamental wood in Japan. Through the aroma in incense is primarily woody, it also evokes a lemon, fruity scent. Juniper is popularly used in smudge incense, primarily to ward off evil spirits and to cleanse the surrounding area with its anti-bacterial properties. The Juniper tree has small berries and branches, both of which comprise the Juniper scent found in incense. It promotes longevity and fertility and is a common ingredient in medicines. Pine originates in the United States and is especially popular with Native American incense blends. It is referred to as the Tree of Peace, and its burning in incense is intended to calm participants and increase focus. Aloeswood comes from South Asia and is used in incense to help pursue enlightenment and clarity. The Sanskrit Vedas, from India, one of the world’s oldest known texts describes Aloeswood as an ingredient in ritual incense and is indicative of its staying power and importance for continued use in ritual. It is associated with air and is similar in nature to sandalwood. It is one of the most highly valued woods incorporated in incense and is the direct wood of Jupiter and Sagittarius. Finer powders provide more potent and higher quality aromas. It is associated with air and Jupiter and is used in incense for home benefits, wealth, success and prosperity. For centuries, cedar wood has been used to preserve and enhance flavors and aromas. As an ingredient in incense intended for purification, meditation, and a mystical potency, is has been traced back centuries; the smoky aroma engages meditative properties necessary for rituals dating back to ancient times. Cedar wood incense is associated with sacrifice in the pre-colonial Americas and was highly prized in Ancient Egypt. Makko powder originates in Japan and is predominantly used for incense making. Makko powder based incense is very popular in Eastern European ceremonies. It comes from the Machillus Thunbergii tree and with its subtle wood aroma is typically used in place of charcoal as a burning and binding agent for other incense ingredients. The concentration of Makko Powder, or “incense powder,” allows for great adhesion when creating incense sticks and decreases the rate of burning to allow for greater longevity. Palo Santo originates in Peru, is associated with Jupiter, and is frequently used in incense for exorcism and purification rituals. The Incas were the first known to use Palo Santo for purification purposes in Ayahuasca ceremonies and to ward off evil spirits. Also called “Holy Wood,” its name indicates the reverence with which it was used in important rituals. Though historically considered very potent, its harvesting has been decreased due to government monitoring. Palo Santo is collected for incense combinations solely from fallen branches. Pine Wood originates in China and is associated with air. It can be ground down for use incense, however it has a very harsh aroma. Thus, pine wood must be used in delicate balance to polish off incense with its unique flavor without dominating the overall aroma. Quassia Wood is also called “bitter ash” and is burned in incense for love and attraction. It is very subtle and associated with Venus. Rosewood originates in Peru and is associated with Venus and burned in incense to promote love, calm and serenity. Rosewood-based incense typically boasts a very fragrant aroma and has historical connection to the ancient civilizations of Central and South America. Rosewood is a rare and highly prized find for incense contribution. Sandalwood is derived from the Sandal Tree and grown predominantly in southern India, Australia and Indonesia. It is used in incense for love, beauty and purification among many other uses. Sandalwood’s woody yet crisp and refreshing spirit inspires a deep sense of the transcendental. It is one of the most common and sought after wood-based ingredients for incense. Used for nearly four thousand years in India and other Middle Eastern countries, it is central to many spiritual rituals, especially those in the Buddhist and Hindu traditions. Sometimes, the wood would be carved into images of gods and then ground down afterwards to be a part of religious practices through burning. It is burned during meditations to provide an all-encompassing calming feeling. Sometimes the use of sandalwood is enhanced with sandalwood oil for an ease of burning and intensity of aroma. Balsam Fir originates in the United States and Canada and is usually procured from mountain ridges or evergreen forests. It is associated with air. Balasm Fir’s use in incense is usually popular during holiday times as its aroma evokes a “Christmas” scent, reminiscent of the woods, nature and the fresh Christmas tree. Christmas tree trimmings can even be used to create fresh incense. Spruce was widely used in Northern Europe and has a history of use in incense from as early as the Middle Ages for ritual and medicinal purposes. Taken from a spruce pine tree, it is used as resin after a long purification and melting process. Also called Burgundy Pitch, when burned, it has an anti-bacterial property which cleans the air in a surrounding area. Cherry wood was popularized in Japan and is said to possess much mystical energy. Associated with water and Venus, it was revered in trade during the Middle Ages. Not only has cherry wood been burned in incense to seek magical forms and assist in spells for fertility, love and divination, but it has been burned to increase focus and establish mental acuity. Cherry wood has a strong wholesome earthy smell with fruity undertones which provide both a pleasant and alerting presence. Resin used in incense tends to be derived from plant sap which has settled into a solid state and ground down to a form that can be incorporated into the incense mixture. Resins are generally the most powerful agents in incense’s scent. Resin begins in liquid form as plant sap and then hardens as it is left out. For inclusion in incense, the resin is reduced to powder form and combined with the other ingredients. Powdered fragrant woods and other herbs and spices supplement resin in crafting the aroma from the incense. Resin serves as a very important foundational piece of the incense. The first known use of the word “resin” as it pertains to incense can be traced back to the 14th century and defined as any solid or partially solid transparent, organic substance that is formed through plant secretions and acting as polymers with other organic solvents (excluding water). Primarily secreted from cone-bearing, vascular plants (coniferous trees), resin has a history dating back to ancient Egypt, Greece and Rome where it contributed to religious rituals and was even considered a prized possession. Various resins frequently combine in incense to create the particular aromas needed for intended purposes ranging from general air purifying to rituals and rites. There are many resins with each possessing multiple variations based on geographic origin or species of tree. Amber is associated with sun and fire and burned in incense for creativity, fortune and success. It is found from the Himalayas to Poland and is reduced from petrified to powdered form to include in incense. Benzoin, also called “styrax” is usually a component of Amber mixtures, associated with water, and burned in incense to give off much smoke. Also burned for inspiration and tranquility, Benzoin Sumatra is a staple for resin in incense. Bdellium originated in India and is similar in form to Myrrh. 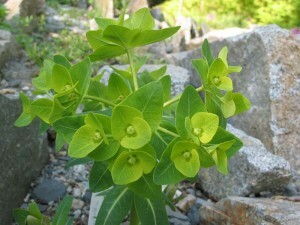 Bdellium has ancient roots and has found much use in medical healing. Bdellium burns in incense for strength and is associated with fire. Breuzinho comes from Brazilian rainforests and is associated with air and burned in incense for banishment and protection. To the Mayans, it was the most holy of resins, promoting the spirit of the Jaguar. As a ingredient in incense it boasts a subtle scent and is thought to be powerful in vanquishing the unwanted. Colophony, also called Pine Resin, is associated with fire, and frequently burned through incense for protection. As one of the more common resins, colophony is used in a variety of commercial uses as well. Historically, colophony is believed to have been used in the ancient Egyptian mummification process, while its origins in incense go back to the earliest known uses. Copal originated in Africa and with its lack of aroma became more of a varnish component than practical for incense burning. However, Copal from South America is highly sacred in religious rituals and is especially burned in homes on the Day of the Dead. It is used for channeling invocation and for celebration of life. Copal is associated with the Earth. Camphor naturally repels moths and when burned through incense. Camphor-based incense serves to cleanse the home and is used to ward off evil spirits. Camphor is derived as a natural resin from the Asiatic tree. Damar, especially Black Damar, is very common from India and associated with air and burned through incense for purposes of evocation and knowledge. Dragon’s Blood, one of the more widely known resins, originated in Sumatra though is found in China in plentiful amounts as well. Burned for strength and prosperity, it is popularly burned as incense in the Kabbalah religion and adds a natural potency to other incenses when combined. Derived from the Draco tree, this resin gets its name from the visual of boiling blood when burned on charcoal. It's burned for love, courage and as a mechanism for cleansing. Frankincense, also called Olibanum, is the most popular resin used in incense. Stemming from Arabia (though found throughout Asia and Africa, as well) it is a common component of ancient and medieval blends, used for divination and exorcism and associated with sun and fire, the key sign of Frankincense is its strong, lemon aroma (differing from the strong, orange aroma of true Olibanum). In ancient Egpyt, women would paint around their eyes with charred Frankincense. The properties of Olibanum, aside from the aroma, are identical to those of Frankincense. Myrrh comes from the Ivory Coast (through found throughout Asia, as well) and is another of the more widely known components of incense. With a great connection to water and purification, it serves as an excellent booster of power for other scents within incense. Found as a common ingredient in rituals to expel evil or purify in ancient times, Myrrh is most known for its role in the embalming process in Ancient Egypt. Myrrh from Yemen is said to be “the mother of all Myrrhs” due to its potency, though any Myrrh serves as a base for various incenses. The two most famous resins, Frankincense and Myrrh are found in combination throughout history and their usages are just as prominent today as in the ancient worlds. Native to the Arabian Peninsula, Northeast Africa and China, Frankincense has been a staple of early Chinese medicine since 500 BC, while Myrrh was used as its complement. The Babylonians, Assyrians, and Ancient Egyptians used these two resins in religious ritual, trade, daily life for more than 5000 years; the two were even depicted in hieroglyphics as offerings to Queen Hatshepsut in an Egyptian temple. Frankincense and Myrrh were burned as incense for Judaic religious ritual, used as medical treatment for the Greeks and Romans, while in Christianity, the two were offered as the third gift by the Wise Men to the baby Jesus, and eventually implemented in Catholic churches as a burning ritual. Today, their healing powers are still believed to numb pain, especially when used together. Kauri resin comes from New Zealand and was once frequently burned through incense for happiness and stability during ritual. Natives also used it for medicinal purposes, such as its popular use as a wound covering. Opoponax is associated with water and burned through incense for love and vitality. It is commonly used today in perfumes. Ancients adored Opoponax for its aromatic quality and used it almost as frequently as Myrrh. It is also been known as a component for treating hysteria and hypochondriasis. Sandarac, found in Morocco and Spain, is used in incense for ritual and protection and often confused with Frankincense. It is associated with air, and sometimes goes by the name Gum Juniper. Tolu Balsam, originally from Peru, hails from the Tolu tribe which now resides in the city of that name. Known as Black Dragon’s Blood, it is used in incense for fertility and love drawing. It had wide usage in the Ancient Americas as a healing product for chaffed skin. Galbanum is the gum resin associated with the Ketoret in Judaism, burned within the temple for Yom Kippur and today, lends its scent to various high end perfumes, including Cartier. Sometimes referred to as “mother resin,” it is widely used for calming and relaxing, and once held prestige in Ancient Egypt, as one of the most widely traded resins. Guggul is a highly prized resin in India and Pakistan and has become limited due to overuse. Used in incense to drive away evil spirits in rituals, it has been tapped commercially for perfumes as well. Guggul is also used today as a component in many herbal medications. Incense compliments other kinds of aromatherapy and when used in conjunction with essential oils, a synergistic harmony can be achieved. Aromatherapy is the age old practice of using natural essences of aromatic plants to stimulate the health and wellbeing of the mind, body and emotions. These essences, known as essential oils, are the pure and vibrant quintessence of fragrant botanical plants. Incense can be treated with essential oils as either part of the mixture of fragrant wood, botanicals and resins or afterwards when the core incense has been created. Essential oils are highly concentrated fluid extracts that play a central role within the medical, food, and cosmetics industries. As such, essential oils can have enormous therapeutic benefits when burned as part of incense. Essential oils are abundant and approximately three hundred essential oils are currently known. Essential oils are removed from numerous varieties of trees, bushes, herbs, grasses, fruits, berries, and flowers. Varying concentrations of essential oil are held in different parts of a plant. Depending on the plant species, the essential oil can be found in resin cells, glandular hairs, or scales that contain tiny pools of oil. By treating incense with the isolated essence of certain plants, it becomes easier to better manipulate the nuanced aromas and therapeutic benefits of the aromatherapy mixture. Essential oil is collected in many ways, again depending on the specific species. The most prevalent form is steam distillation. Other important approaches are maceration, solvent extraction, expression, and enfleurage. The process of generating a diminutive amount of essential oil is labor intensive. 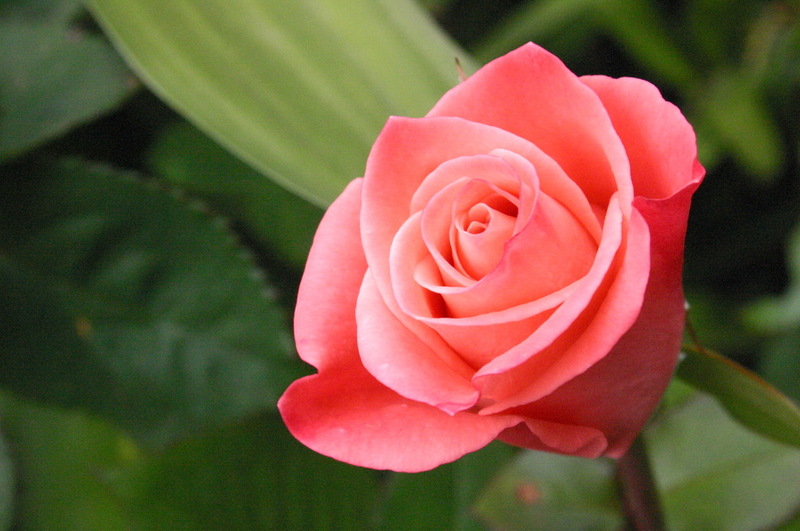 For instance, sixty thousand rose blossoms produce only one meager ounce of rose oil. The price of essential oil is directly related to the extent of labor that goes into extracting it. Jasmine oil is one of the most cost-prohibitive, as it takes eight million hand-picked flowers to make only 2.2 pounds of oil. Treating incense with essential oil that has already be removed from a plant can remove some of the labor intensiveness of the incense making process. Essential oils contain hundreds of complex chemical components. The majority are terpenes, alcohols, esters, aldehydes, phenols, and ketones. These chemicals are often found naturally in the human body, making essential oils extremely compatible with human physiology. They are also invaluable because they are noninvasive and non-toxic to the human organism and offer holistic healing benefits. Essential oils are a clever way to naturally boost the benefits from burning incense. Essential oils can be applied and absorbed in a multitude of ways. They can be inhaled directly from the bottle, diluted in a carrier oil (like jojoba or sweet almond) for use directly on the skin, or soaked up in a warm bath. They can be used for skin, hair and body care, and to freshen up the home or office environment. Essential oils can be mixed in with ground, dried herbs using a mortar and pestle or coffee grinder. The resulting combination can be formed into an incense cone or stick and burned. Otherwise, the formed incense stick or cone can be dipped directly into essential oil for a final treatment before burning. High quality essential oils can help prevent or ease a multitude of ailments. They can bolster the immune system and assuage pains, aches, or injuries. These heavenly scented oils can reduce stress reduction, lift depression, and restore or enhance emotional health. Lavender has a clean and fresh smell and infuses the air with an enchanting aroma when burned in incense. Inhaling lavender infused incense can simultaneously relax and stimulate the senses. Steam-distillation of the flowers and stalks yields clear, light-yellow, or yellow-green oil. Distilling only the blossoms and not the stalks produces a higher grade of oil. The scent is a fusion of sweet, floral, and herbal top notes with balsamic, woody undertones. It is the perfect complement to a neutral incense mixture which can be infused with sweetness but still retain a deeper woodiness. An acre of lavender is needed for making 15 to 20 pounds of essential oil. There are over thirty different species of lavender. Lavandula officinalis, Lavandula angustifolia, and Lavandula vera are the most common employed for producing essential oils. French lavender (Lavandula stoechas) is also prevalent in aromatherapy and incense. A member of the Lamiaceae family, lavender grows plentifully amidst dry, rocky, and sunny conditions. It flourishes atop the mountain slopes of its native Tasmania, Iran, France, and the Mediterranean. Turkey, Spain, Russia, Italy, Greece, England, and Bulgaria also commercially cultivate lavender. Worldwide, Bulgaria is the primary producer of lavender oil but it is reasonably easy to acquire and can be found in incense worldwide. Lavender oil is a decongestant that improves the symptoms of sinusitis and related respiratory disorders. Its inclusion in incense can help provide a sense of cleansing when in the same room (not inhaled directly). Lavender oil is thought to help alleviate tonsillitis, laryngitis, and sore throats. It can be incorporated into massage to ease injuries, spasms, and muscle ache. Bruises, cuts, and insect bites heal faster with its application. Lavender is also effective in minimizing the pain of migraines or tension headaches which could be an appropriate time to perfume a room with lavender laced incense. Topically, it can heal acne blemishes and stimulate good circulation in the skin. It is non-irritating and can be applied neat, or undiluted. Lavender can have a profound impact on emotions and mental wellbeing. It is often recommended for the treatment of depression, insomnia, fear, irritability, sadness, mood swings, nervousness, and stress. For incense sticks or cones, lavender mixes well with pine and rosewood. Peppermint has been a favorite of many ancient cultures, including the Egyptians, Chinese, and American Indians and has found a home as a complement in incense. The peppermint plant is a cross between water mint and spearmint and is medicinal and health promoting. It is an excellent digestive and stimulates blood circulation. It has anti-inflammatory properties and is a powerful antiseptic. These qualities make it the perfect essential oil for the treatment of conditions like varicose veins, indigestion, rheumatism, and even toothache. The United States is the chief manufacturer of peppermint oil. About 1,000 pounds of Mentha piperita plants are needed to make only one pound of peppermint oil. This colorless or pale-yellow oil emanates a strong menthol aroma that is quite pungent when inhaled directly but can provide a refreshing scent when inhaled indirectly through burning incense. When used in incense, the oil can assist in energizing, increasing alertness, and improving focus and concentration. It can also help reduce fatigue. Cedarwood and Marjoram accentuate peppermint nicely in incense syntheses. Dried chamomile. Great for tea or incense! Chamomile is great for so much more than tea and can be a very nice complement to incense through its fragrant undertones. Essential oils come from two species of the plant- German chamomile (Matricaria chamomilla) and Roman chamomile (Anthemis nobilis). Both are in the Asteraceae family and exhibit similar properties. The Roman chamomile yields yellow oil with a sweet, warm, herbal scent. The German plant’s oil is blue or bluish green and is known as blue chamomile. This color stems from its high concentration of azulene, a chemical that is produced during distillation and that has potent anti-inflammatory properties. This oil is more heavily scented than the oil of the Roman plant and verges on being both fruity and spicy. This essential oil can is effective on children and babies when they are colicky, teething or simply irritable. It regulates the menstrual cycle and when used topically can alleviate burns, diaper rash, and sunburn. Ylang-ylang, rose, and jasmine compliment chamomile in compound incense sticks and cones. Of the 700 kinds of geranium, only a few can be used to make essential oils. The whole geranium plant is used in the distillation process. The scent of Geranium essential oil is saccharine and can have minty or rosy undertones which compliment many incense mixtures quite well. By stimulating the adrenal cortex, Geranium oil can help balance hormones. The adrenal cortex regulates the hormones secreted by other glands. The oil bolsters immune function and can relieve dysmenorrhea. It is a natural diuretic and can prevent fluid retention. Geranium oil helps to relieve almost any skin condition. It aids the regeneration of skin cells and speeds the healing process for acne and blemishes. Cosmetically, it can also improve the appearance of broken capillaries and varicose veins. Inhaling geranium oil indirectly through incense helps ease feelings of angst and tension. Its aroma engenders creativity and can bring harmony to interpersonal relationships. Geranium blends well with nutmeg and fennel and all three ingredients can be incorporated into a secial unique incense fusion. Thymus vulgaris (common thyme) can be recognized by its small gray-green, oval-shaped leaves and white, lilac, or pink flowers. Thymus citriodoria, or lemon thyme, has leaves that smell of lemon and light purple colored flowers. It adds clean refreshing scent to incense. Thyme is indigenous to Spain and is now cultivated in the U.S, Tunisia, Russia, Israel, Turkey, China, Algeria, and central Europe. The first distillation of the plant produces red thyme oil (which is red, orange, or brown) and embodies a penetrating, warm, and spicy scent. A second distillation leads to white thyme oil, a colorless or pale yellow oil with a sweet, fresh, and mild herbal aroma. In Greek mythology, thyme was said to have originated from the teardrops of the famed beauty Helen of Troy. The ancient Greeks made perfume with thyme and fumigated their homes with it to guard against infectious diseases. It was used to treat diseases of the nervous system and the Greeks even burned thyme incense to honor their gods. Moderns will find it useful as well because of its impressive array of medicinal properties. It helps combat infections and fortify the immune system by boosting white blood cell production. It is an ingredient in the commercial mouthwash Listerine and can be used as a gargle to fights gum, mouth and tooth disease. Thyme also stimulates menstrual flow and can elevate low blood pressure. From an emotional and cognitive standpoint, thyme-based incense can enhance memory, promote ambition, and counteract pessimistic thoughts and anxiety. Thyme is often used in combination with rosemary and bergamot in incense blends. Fresh lemons on the vine. Save the rind when you're done making lemonade...for some incense! Fresh lemons are utilized every day in households across the world and many appreciate its versatility in cooking, health, home, and hearth, but lemon also has a place in incense blends The power and potency of lemons is best encapsulated in its essential oil. When the rinds of lemons are cold pressed, pale, greenish-yellow oil is released. Its scent is light and refreshing, with the same tangy smell of fresh lemons which can be infused into the aroma created by incense. One pound of oil can be extracted from about 1,000 lemons. Medicinally, lemon oil can abate the bleeding of wounds, nosebleeds, shaving cuts, and bleeding gums from tooth extractions or the disease gingivitis. Lemon oil also acts as an analgesic for the pain of cold sores, mouth ulcers, and herpes sores. From a cosmetic perspective, lemon oil can exfoliate dead skin cells and strengthen brittle nails. When used in aromatherapy and burned incense, lemon oil is cooling, invigorating, and uplifting. Lemon is complimented by orange, mandarin, bergamot, and lime oils and can be combined to create an original incense experience. The scent of lemon laced incense inspires trust and a sense of security. Lemon oil can positively influence decision making and facilitate communication. Three types of cedar trees produce aromatherapy grade essential oil. The most common is red cedar, or Juniperus virginiana. Native to North America, this tree can reach an impressive height of 100 ft. Distillation of its heartwood and seed bearing cones yields a yellow to orange oil with a sweet-smelling, balsamic fragrance which provides a strong base for incense. Cedarwood oil was a prominent ancient remedy for poisoning. The ancient Egyptians often used it for incense, perfumes, and cosmetics and capitalized on its insect repelling properties. It is therapeutic and can ease coughs and respiratory problems. When applied to the skin, it can control excess production of sebum (the skin’s natural oil). It also controls dandruff and seborrhea, improving the hair condition by invigorating the scalp and hair follicles. When burned in incense, inhaling cedarwood aroma can promote balance, combat stress, and generate positive energy. Jasmine essential oil is luxurious and highly sought after, providing an exotic subtlety to incense. Jasmine flowers are beautiful, pure white, and star-shaped. They release a sensual and heady aroma. Jasmine essence is a viscous, reddish brown colored oil that has an opulent, warm, floral scent with undertones evocative of tea. This exceedingly sweet oil is redolent of mystery and magic. In India, Jasmine was known as “queen of the night” and was often employed as an aphrodisiac. In cosmetic preparations, Jasmine essence can help moisturize and nourish dry or mature skin. When inhaled, it balances hormones and eases stress. Jasmine encourages love, pleasure, optimism, and self-confidence. When used in incense, Jasmine helps neutralize feelings of apathy and indifference and can awaken intuition. Out of over 50 variants of Juniper, only Juniperus communis bears the berries from which juniper oil is extracted. These bluish green berries turn jet black when mature and produce a colorless or yellowish-green oil with spicy and piney fragrance when unlocked through incense. Juniper is primarily touted for its ability to promote urinary tract health. It is a diuretic, fights infection, and helps the body to eliminate wastes, especially after excess food intake and/or alcohol consumption. It speeds up healing and is particularly useful for slow healing wounds and dermatitis. The scent of juniper oil is cathartic and can prompt a sense of spiritual purity and ease in incense users. Juniper can be burned in incense in combination with sandalwood and bergamot. Marjoram is a bushy perennial that grows to a height of up to one foot. It yields striking clusters of white or pink flowers. The oil rendered from Marjoram has a warm, nutty, peppery, and spicy aroma which provides quite a unique angle to incense. The Greek goddess of love, Aphrodite, is said to have bestowed marjoram with a spicy and sweet scent that represents happiness. Holistic physicians have used Marjoram oil to treat high blood pressure and heart conditions. It dilates blood vessels, reducing the strain on the heart and creating internal warmth. By improving circulation, it can soothe overworked muscles, sprains, and backaches- all of which make it wonderful for use in massage. The scent of Marjoram relaxes the body and mind when unleashed through incense. Its soporific nature can induce sleep and combat insomnia. Marjoram mixes well with Frankincense in incense. Fragrant oil blossoms. And oranges! Neroli essential oil exudes an entrancing citrus aroma with slightly spicy, bittersweet undertones. The oil is rendered from the white blossoms of the bitter orange or Seville orange tree. It takes one ton of hand-picked flowers to make a scant quart of oil, so it is quite valuable and expensive in the essential oil trade and can provide for a luxurious incense experience. Neroli oil can relieve diarrhea and comfort women who suffer from premenstrual syndrome. By stimulating cell turnover, it can prevent scarring and stretch marks on the skin. With consistent use, it can reduce the appearance of broken capillaries and varicose veins. Neroli has historically been used to dissipate acute anxiety and calm grief or hysteria when used in incense. Neroli compliments spice oils like nutmeg and clove bud and is particularly compatible with myrrh incense. Orange essential oil is a favorite in aromatherapy and has a home in incense when used in proper proprotions. It has a sweet, refreshing, citrus smell and is valuable in the treatment of a broad spectrum of ailments. The oil is rendered from the fruit of the Orange plant (Citrus sinensis) by cold-pressing. Sweet and Bitter Orange essential oils impede microbial growth and can help comfort a sore throat when gargled. Mouth ulcers can be resolved when used the oil is employed as a mouth wash. Not surprisingly, it increases the body’s absorption of vitamin C. D-limonene is a potent and compelling nutrient found in Orange Essential Oil. Scientists have studied this chemical extensively for its ability to prevent mutations at the cellular level and combat the growth of cancerous tumors. Cosmetically, Orange essential oil amplifies the production of collagen and increases blood flow to the skin. In aromatherapy, orange oil can be burned with sandalwood incense and cinnamon bark. Patchouli essential oil is sharp, musty, mysterious, sweet, and spicy and adds some serious punch to an incense blend. The leaves of Pogostemon patchouli or Pogostemon cabin are dried and fermented before being steam distilled to extract the oil. Like a fine wine, the oil gets better with age as time intensifies the heady herbal odor. The oil has a characteristic viscous texture and is orange, golden, or dark brown in color. Patchouli is thought to be especially beneficial to those who want to lose weight because it helps curb the appetite and control cravings. In cosmetics, it is used to ward off wrinkles. In emotional response to its use in incense, Patchouli heightens sensuality, augments creativity, and encourages liberty in thought and expression. Myrrh incense and Bergamot oil accentuate patchouli’s role in incense. There are an astounding 5.000 species of roses known to man. Of these, the cabbage rose and damask rose are most fragrant and are therefore the main varieties used in the manufacture of essential oils and found in incense. When 60,000 roses are steam distilled, only one ounce of pure rose oil is produced. The oil emits a heady, sweet and floral aroma on its own or when burned through incense. It is usually pale yellow in color. Across the span of time, roses have been revered and elevated in the realms of poetry, literature, and art. According to ancient Roman mythology, the goddess Venus was given a rose as she first sprung forth from the sparkling ocean waters. In Greek tradition, roses were said to have been imbued with a deep red color when Aphrodite pricked her finger on a rosebush. The use of Rose essential oil in incense borrows our feelings of romance and nostalgia associated with the Rose scent and imbues them into the power of the incense. In the modern era, rose oil is indispensable in the perfume and cosmetics and incense industries. It has medicinal properties and can fortify the digestive system and relieve nausea, constipation, and diarrhea. Rose oil positively impacts emotions and cultivates love and trust. In incense, it helps balance mood and can eliminate feelings of disappointment, hostility, and anger. The rose will forever be an enduring symbol of love and its oil is, unsurprisingly, an effective aphrodisiac when used in incense. Sandalwood has been a focal point of Indian religion and culture for thousands of years and major component of incense both in powdered and oil form. Sandalwood incense pervades Indian temples and is thought to incite deeper levels of meditation. Ayurvedic healers in India still use Sandalwood oil to fight infection and treat urinary maladies including urethritis. Sandalwood essential oil is golden yellow in color and emanates a sweet, arboreal, scent that is warm, heady, and striking. The scent has a strong emotional impact and generates openness, compassion, and understanding when used in incense. Unfortunately, the ever growing demand for sandalwood means it has in many places been overharvested. The name Ylang-ylang stems from the Tagalog word “ilang” which means “wilderness” or “ilang-ilan” which means “rare.” Ylang-ylang essential oil originates from a tree that is sprinkled with clusters of large flowers that are typically yellow or yellowish green. Their aroma is invigorating, floral, sweet, sensual, and exciting. Its floral signature is evocative of ripe apricots. In aromatherapy, ylang-ylang oil is active agent in lowering blood pressure, calming the nervous system, and alleviating muscle tension. As such, ylang-ylang has become an important ingredient in incense blends. Tropical women have used ylang-ylang in hair preparations for thousands of years to combat split ends. Ylang-ylang is also effective for emotional exhaustion and stress relief. Grapefruit, neroli, and sandalwood mix well with ylang-ylang in incense and aromatherapy blends. Bergamot essential oil has become increasingly popular in incense. It is made by pressing the rinds of the sour green fruit of the bergamot tree. The oil is a pale emerald color and encapsulates floral lemon-orange top notes with sweet balsamic undertones. Like its citrus cousins orange and lemon, Bergamot oil is a strong antiseptic. It can calm fevers and reduce the severity of cold and flu symptoms. Topically, it can heal dehydrated, chapped, and irritated skin. Bergamot oil stimulates hormone secretion and helps regulate metabolism rates. When ingested internally, it increases the secretion of digestive juices, insulin, and bile. As a digestive aid, it encourages the absorption of nutrients and the integration and decomposition of sugars. With regular use, it is thought to assist in balancing and reducing blood sugar levels. The chronic skin condition psoriasis is alleviated by applying bergamot oil directly to the skin and then exposing the affected area to long-wave ultraviolet light. Bergamot oil is effective against a tumor caused by a fungal infection (mycosis fungoides). It repels insects and protects against lice and other invasive parasites. Bergamot’s fresh fruity fragrance is uplifting, making it a prized commodity for inclusion in incense. Geranium, clary-sage, jasmine, and Frankincense heighten the appeal of Bergamot when used in incense or aromatherapy. Many kinds of herbs and spices can be added to incense to provide nuanced effect to the aroma. These are generally ground down to an easily usable powdered form and added to the other ingredients. Taking a motor and pestle to grind down leaves or simply using miniscule pieces can provide subtle nuance to incense’s final smell. Botanicals in their dried form are usually most easy to incorporate into incense. Botanicals span a variety of aromas and can infuse an incense blend with a very specific fragrance and tailor incense to a specific purpose, whether in ritual or in daily life. Allspice, originally from Jamaica where it fills vast forests, has turned into a spicy complement for incense blends. The fruit and shell of Allspice are used to infuse incense with its calming and rejuvenating aura. The strong, spicy texture of Allspice in incense is known to help dispel fatigue. The natural Allspice aroma which incense calls upon can frequently be mistaken for a blend of substances like clove and nutmeg. Also called Pimento, it is largely found in curry powders and mulled wines which utilize its relaxing yet rejuvenating effect. Allspice is used similarly to cloves in medicines and perfumed soaps. Allspice is ground down into powder for incorporation into incense. In this powdered form, Allspice can also be used for therapeutic pain healing, which lends credence to the therapeutic benefits from exposure to its aroma through burning incense. Basil originated in India and has since spread to all kinds of cooking but has maintained a presence as a complementary ingredient in incense as well. Basil has a powerful scent so its inclusion in an incense mixture must be carefully monitored in order to maintain its tingling subtlety within the scent. Due to the strength of its oil, Basil has also been used to combat rheumatic pain, delay nausea, and when boiled in water, aids in freeing obstructions to internal organs. Basil’s medicinal qualities enable it to provide a therapeutic effect on the respiration system when used in incense. Basil has supplemented teas and java, as well as medicinal remedies for ailments such as fever. In rituals, Basil has been used in mourning—in Malaysia, Persia and Egypt basil is left on graves and scattered in memory of deceased loved ones. Basil’s strong, fresh qualities unlocked through incense are thought to aid in focus and endurance. Bay, also known as Laurel, originated in the Mediterranean. The leaves, fruit and oil are used in combination with other herbs and botanicals in order to strengthen its powers. The oil is used in perfumes and incense while the wood is used in marqueterie work. Known for its narcotic properties, Bay is rarely used as an internal healer. However, the oil is used externally for sprains and bruises and can be used to relieve ear discomfort. Cardamom originated in southern India, and its dried, ripe seeds are ground down for incorporation into incense. Cardamom is incredibly aromatic yet strong, thus is used as a corrective to alter the aroma or taste of other botanicals and is commonly mixed with orange. In light quantities cardamom is believed to have aphrodisiac qualities as well which can set a romantic mood with incense burn. Cardamom is used in chews, tea and coffee in both the eastern and western hemispheres, as well as in perfumes common to France. Medicinally, it is used to alleviate head pains, which may be a good time to burn in incense. Cloves originated in the Molucca Islands and Southern Philippines and is utilized for its undeveloped flowers. Cloves produce much oil used in medicines, while some believe the stalks produce purer oil. Considered to be one of the more stimulating and aromatic of spices, cloves assist with decreasing dyspepsia and nausea, and can be used in its powdered form or as a mixture to enhance the properties of other medicines. Due to its great strength, cloves most be moderated and used to provide a subtle note to an incense mixture. Cloves in general have a strong quality of masking other smells which can be very effective in moderation when burning incense in a cleansing ritual. Coriander originated in Southern Europe, parts of Asia and Africa and provides a dynamic pungency in everything from incense and cooking to ayurvedic practice. It is used for its fresh leaves and fruit. As seeds age, they tend to become less pungent and more aromatic; many natives, especially those of Peru, find the potency charming and use coriander in daily dishes, while many in more developed countries need to dilute it. In China, it is said that coriander assists with immortality, while in Britain, it is used as a disguise for unpleasant medicines. The Chinese would use it in incense rituals, burning it to promote properties of life. Eucalyptus is extremely popular in aromatherapy, cosmetics and medicine and provides a healing, minty scent to incense. Eucalyptus must be carefully moderated in its use due to its strong medicinal qualities. When burning Eucalyptus through incense, its can have a strong clearing effect on the respiratory system. Eucalyptus dominates in Australia but has been spread worldwide after the rapid diffusion of its beneficial qualities. Fennel seeds are ground down and used in incense burning. In the Medieval times, fennel was used to fight off witchcraft and evil spirits and still maintains a purifying and cleansing presence in incense. In Greece, it was used to promote longevity and success. Fennel is the main ingredient in medicinal Licorice Powder, as well as a cough suppressant when used in tea. In incense, fennel possess a mellow yet distinct aroma which promotes purity and mental clarity. Orrisroot comes from the Iris family and emits a subtle Iris type scent when burned in incense. Orrisroot helps prolong the longevity of incense while providing a flowery note that is thought to help relieve headaches. Orrisroot has been commercially used in perfumery, sachets and oils. ts potent aroma is commonly found in linen freshening scents. Orrisroot is popular in Middle Eastern incense combinations. Rosemary originated in the ancient times for use of the stem and root. It is a volatile oil which helps headaches, as well as a topical stimulant to suppress muscle pain. The aroma is said to relieve depression and its contents in tea mellow pain. When burned in incense it calms the surrounding air. Sage is a popular component of incense though it is also widely used in food preparation. Burning sage incense has a cleansing effect and used in certain ritual practices to ward off spirits and purify physical spaces. Sage can help enhance focus and is commonly used as an incense to promote meditation. Sage is also believed to lessen fatigue. Sweet grass is used for its flowers and has a long history of use in incense. When burned in incense, it fills the air and is thought to have a calming and positive aroma. Sweet grass incense burning has been popular in Native American ritual. It is very important to take safety precautions when burning incense. When using both incense cones and incense sticks, sparks can fly and hot ash mixed with embers can fall. It is extremely important the immediate area is cleared, and any flammable objects are removed from the vicinity. The incense should be burned in a well-ventilated area with room to “breathe”. Smoke from incense should not be inhaled directly but allowed to gently waft through the room or area and gently fill it with its essence. General care and precautions must as always be taken when using a flame of any sort. Matches and lighters are the best choices for lighting incense. As always, make sure that matches are doused in water before discarding to make sure they are truly out. After lighting the incense, allow the flame to linger at its tip for two to five seconds before blowing out and breathing air into the embers for a breath or two. As the embers react to your breath, you will be able to see through their glow if the incense will uniformly burn down or if it must be re-lit to make sure the entire surface area of the top is smoldering. Never leave incense to burn without anyone watching over it. Someone should always be present as incense burns itself down, particularly when in closed confined areas like one’s house. After the incense is burned down carefully discard the ashes, making sure that no latent heat sources are still present that could catch or start a fire. If you want to put out incense before it has burned completely through, use water to put out the ember! It may seem like a good idea to try and snuff out the burning incense by grinding the burning end of a stick or cone into the hard surface of the holder, but this doesn’t generally work. Water is the most effective and safest way to put out burning incense. If you wish to preserve as much of the stick or cone as possible from getting wet, carefully submerge only the smoldering part of the incense in the water, but make sure you get it all and wait to see that the embers have extinguished and release of smoke has ceased. If cone incense is put out with the intention of later use of the same cone, it can be challenging to get the cone to light. The whole surface area of unburned cone must be immersed in the flame and it may take several seconds to relight. As such, individuals using a match to relight previously used incense should be careful as the match may burn through before the flame “catches” on the incense. Watch your hands and don’t drop a burning match! 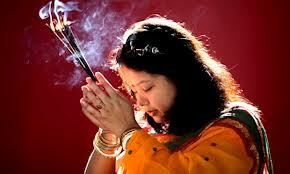 The use of incense is pervasive within Hinduism and in the greater traditional Indian culture. The burning of incense has important ritual and functional uses and is fully integrated into daily life within the household. A common traditional Indian household ritual involves taking incense to each room in the house during the morning. Depending on the household, the incense is taken as a part of daily prayers or as a separate practice. The burning incense has multi-faceted use as it serves both real world and transcendental purposes. If taken as a part of prayers, it serves as an offering to the divine whereby the practitioner beseeches the divine for its good grace and protection within the context of the household. The ritual of taking the incense from room to room serves as physical manifestation of the divine evocation which the practitioner is trying to accomplish. In one sense, the burning of incense serves as a sacrifice and acknowledgement of humble subordination to divinity. By burning incense as a way to express reverence to a deity or the divine, the practitioner uses ritual action to outwardly demonstrate his or her veneration. The actual “action” of burning incense is very important in this understanding. The Hindu concept of bhakti yoga involves a path to inner piece where practitioners renounce the fruits of their actions and instead act on behalf of the divine. In this way, bhakti yogis give the results of their actions to the divine. Bhakti yoga strives to eliminate selfish tendencies and cultivate the selfless. Worship of God or Gods, whether Hindu or otherwise, occurs within the context of bhakti yoga and is Hindu in its philosophy and origin but universal in its application and context. Hinduism teaches that the cultivation of selflessness through worship and subservience to the divine is the most accessible path toward inner peace and ultimate fulfillment. Burning incense, in deference to the divine, plays directly into the practice of bhakti yoga. By burning the incense as a ritual sacrifice or action, the practitioner is acting directly on behalf of the divine and cultivating a mental attitude to that effect. Ritual has an extremely important role in Bhakti yoga to make concrete abstract concepts and reinforce selflessness in the face of higher powers. In Judaism, the ketoret (loosely defined as “to smoke”) is the perfumed offering, or incense, used in the religious offering within the temple. After having been first put to use during the Second Temple period by the House of Abtinas, incense immediately was controlled through this monopoly. While some opposed the monopoly on incense production, sages approved tightly controlled methods of production to prevent dilution of the scent and augment its importance. The Book of Exodus describes the composition, “And the LORD said unto Moses, Take unto yourself sweet spices, stacte (storax-gum or balsam), and onycha (segment of a shell found in the Red Sea), and galbanum (northex or modernly, ferula herb); these sweet spices with pure frankincense (olibanum-tree resin),” through which priests would establish and solidify rituals. Both the Book of Exodus and the Talmud describe various components of the incense used. It is known that incense was a necessary presence for the daily morning and evening sacrifice (the tamid), as it was burned in reverence, especially during the middle Pentateuch. The other components are thought to be myrrh, cassia, saffron, the flower of nard, kostus, cinnamon and cinnamon bark, while the only salt that may be present is the salt of Sodom. This compound of incense, or pittum ha-ketoret would likely be burned by the High Priest in the Holy of Holies on the sacred day of Yom Kippur, or Day of Atonement. When the incense was burned correctly, the smoke would rise and descend upon the entire religious space. The priest would carry the prepared incense in a pan as an offering to redeem sins. Once the burnt offering was removed from the incense alter, new incense would be burned and spread by the priest. The priest would return and leave the tamid on the altar as a prestigious offering. Not only was the vehicle of smoke seen as the perfect way for man to reach the higher power, but also as the perfect composition of all earthly elements proper to religious sacrifice. 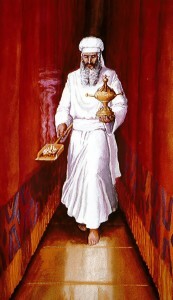 The holiness of incense is upheld through the consequences of misrepresentation: Nadab and Abihn, the priests allowed to burn incense, die when burning the offering with the wrong fire (not fire from the altar); and the Levites suffer pain when they try to gain from the offering without proper religious establishment. It becomes Judaic law that one will not use the offering of incense for anything less than the highest of religious purposes. Though there is evidence of incense used during the early kingdom, the importance of incense obviously increased throughout the years, holding a more prominent and prolific place in scripture. Not only was the incense needed for prominent religious rituals, but also the way it was produced was deemed crucial to offering the correct worship to God. Though the use of incense increased as primarily a religious sentiment, it had other uses as well. Incense was used by noble Jews, called mugmar, as an after dinner community experience passed around for all. Earliest evidence of incense offered to God, as a rare and precious contribution is by Jeremiah: “To what purpose cometh there to me incense from Sheba and the sweet cane from a far country?" (Jer. vi. 20; comp. ib. xli. 5). Incense is said to be one of the most holy of offerings during the post-exilic period, when it was hard to find from faraway lands. Incense has been intricately tied with religious and spiritual practice throughout the world. It enhances spiritual life in many modern churches across denominations and has a long and rich history of being used for worship within a Judeo-Christian context. Scripture highlights its utility, and both the Old and New Testaments expound the ceremonial use of incense. The ancient Israelites employed aromatics and fragrant woods to produce, along with the sacrifice, “a sweet smelling savor” for God (Gen. 8:21; Deut. 33:10). Many kinds of incense are finite natural resources that are highly sought after and valuable, so procuring them for divine use also represents an offering of the best the earth has to give. According to Leviticus 16:13, the rising smoke of burning incense protected the high priest Aaron (the brother of Moses) from death by concealing the atonement cover above the tablets of the covenant law. The presence of incense during the Christian era can be traced back to the very birth of Christ, through the gift of frankincense and myrrh given to the newborn Jesus by the Magi. Both frankincense and myrrh are sourced from the viscous sap that is secreted by the Boswellia and Commiphora trees, respectively, when their bark is cut open. The dripping resin is allowed to solidify and then scraped off the trunk in tear-shaped masses. It may then be used in its dried form or steamed to isolate essential oils. Both substances can be safely consumed and are often chewed like gum. They are also exceedingly fragrant, particularly when burned, with frankincense giving off a sweet, citrus scent and myrrh producing a piney, bitter odor. In ancient times these gifts would have been expensive and had important symbolic significance at their presentation to the Christ child. Frankincense, with its prominent place in religious rites, indicated the Lord’s heavenly and divine nature. The bitter myrrh was frequently employed during the process of embalming, thus foreshadowing Jesus’ suffering, death, and resurrection. Despite being used in worship by the eastern kingdoms, there is no satisfactory evidence of the use of incense in the Christian Church during the first three centuries. Indeed, the early Apologists were ardent in disclaiming its use. The opposition of the early Christians to incense was based chiefly, if not entirely, on the fact that it was associated with the religious ceremonies of the pagans, and it is well known that for a Christian to burn incense before an idol was one of the most conspicuous marks of apostasy. The earliest existing references to the use of incense in the Christian liturgy occur in the Apostolic Constitutions where, among the objects deemed necessary for the offering of the sacrifice, mention is made of the thurmiama, and, in the work of Pseudo-Dionysius, where it is stated that every offering of the sacrifice should be preceded by the ceremony of thurification (the act of fuming with incense). It would seem, consequently, that the custom began to prevail in the Christian Church from the fourth century onward. The Oriental liturgies of Basil and Chrysostom and others note the incensing of the elements of the Eucharistic service. In the West, the use of incense in the ceremonies of mass evidently originated in the churches of Gaul.